Deforestation and forest degradation account for around 10% of the worlds greenhouse gas emissions. Reducing these emissions through the conservation and restoration of forests is therefore critical for efforts to mitigate climate change. REDD+ (Reducing Emissions from Deforestation and forest Degradation plus enhancing forest carbon stocks) was introduced as a fresh, new approach to forest protection: it set out to create a system whereby forest users would receive financial incentives to conserve, restore and sustainably manage forest resources. 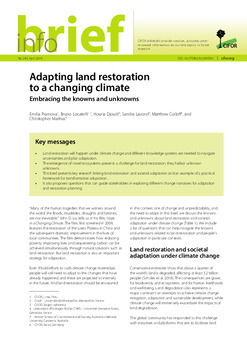 REDD+ has evolved considerably since it was introduced, in response to how it is understood in different contexts and by different actors, the absence of a new international agreement on climate change, and the numerous technical, political and economic challenges that have arisen in its design and implementation. Many countries are getting involved in REDD+, even while international negotiations are ongoing. Governments are developing national REDD+ strategies and setting up institutions to coordinate activities and manage funding. At subnational levels (i.e., in provinces, districts and villages), organizations are running pilot or demonstration projects. In 2009, CIFOR and its partners launched the Global Comparative Study on REDD+, which looks at national and subnational REDD+ activities in 13 countries. The aim is to identify the challenges and enabling conditions for achieving REDD+ policies and projects whose outcomes are effective, efficient and equitable. The results are being used to guide policy makers, governments and project proponents in designing and implementing REDD+. Phase I of the Global Comparative Study on REDD+ ran from 2009 to 2013. The research generated a wealth of outputs, including peer-reviewed articles, book chapters, conference papers, guidelines, policy briefs, working papers and manuals. 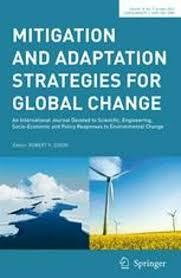 The main findings are synthesized in the book Analysing REDD+: Challenges and Choices. Phase II of the Global Comparative Study on REDD+ got underway in 2013. 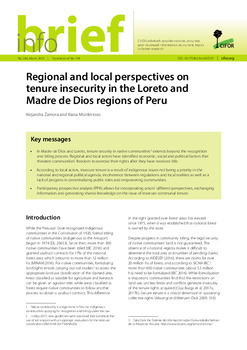 It builds on the findings from the first phase and comprises four research modules: REDD+ Policies, REDD+ Subnational Initiatives, Measuring Carbon Emissions, MitigationAdaptation Synergies, and Multilevel Governance, Carbon Management and Land-Use Decisions. A fifth module is focusing on knowledge sharing, a key component of the Global Comparative Study on REDD+.